We've spent a few nights lately roaming the dark streets in a borrowed car, rushing from one food cart to the next for interviews and photo shoots. But some nights Mother Nature has had other plans. That's how we found ourselves, with our photographer Clay in tow, at Paulie Gee's. We'd planned on heading up to Washington Heights--instead the skies opened up and we sought out shelter and food within the confines of Greenpoint. Clay has been trying to get to Paulie's for a while, plus Brownie hadn't been in ages. So, over we went. We settled on getting the Monte Cristo (ham, Gouda, and a maple syrup drizzle), In Ricotta da Vita (sausage, ricotta dollops, arugula), and The Hellboy. This was my first experience with the Monte Cristo and In Ricotta. 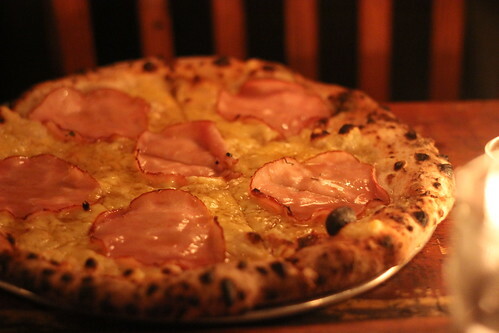 The Monte is for the more adventurous pizza eaters i.e. ones that don't need sauce. It's on the sweeter side which is only heightened by the maple syrup. 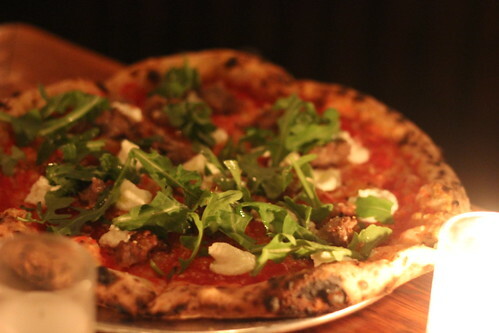 The In Ricotta, though, will complete hit a pizza craving spot. I enjoyed this pie more, equally due to my love of the savory fennel sausage with sauce, and my ambivalence about the ham and Gouda combination. Not that I would turn down any of Paulie Gee's pies. P.S. if you can sit by the oven there, totally do it. 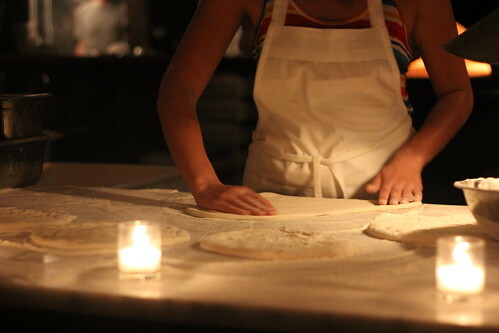 Watching them make pies is mesmerizing.